The decorated, machine-made tumbler of the stylish, yet subtly nostalgic glass collection RIEDEL Barware are inspired by the glamorous Art Nouveau period and present a contrast to Riedel’s purist, unadorned wine glasses. 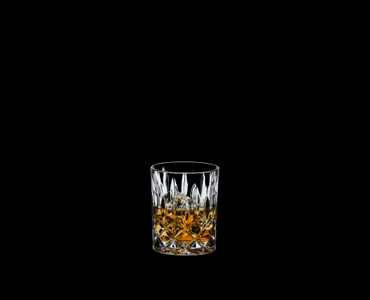 The ‘Spey’ series takes it names from the world famous Scottish river, which is synonymous with fine Scotch Whiskies. Spey glasses have a large surface area. RIEDEL’s Barware tumbler collection presents perfect, ‘must have’ glasses for all cocktail and spirits lovers. All RIEDEL glasses are dishwasher safe.